TRACC Borneo Volunteers: Turtle Walk Anyone? During my internship at TRACC, I had the opportunity to save hundreds of turtles eggs (Yes, you read that right!). These turtle eggs were saved from evil poachers who sell them for a profit despite the alarming decline of the population of turtles. 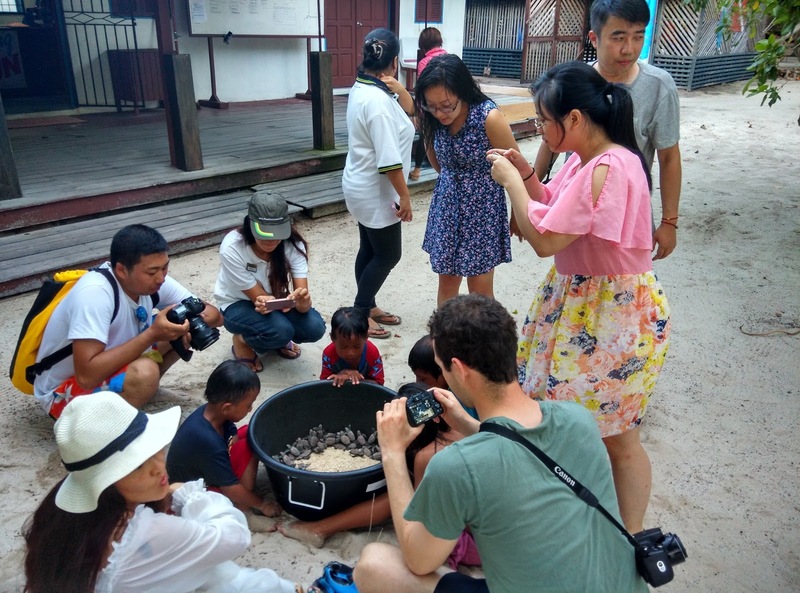 The collected turtle eggs are safely kept at the Pom Pom Hatchery until they are hatched and released to the ocean. Side note: Did you know that the survival rate of turtles eggs is 0.1%? Yeah! That's crazy but true! That's why "turtle walks" are important at TRACC. When I first heard about "turtle walk" , I thought it meant walking around the island with turtles. (I still think that would have been cool). 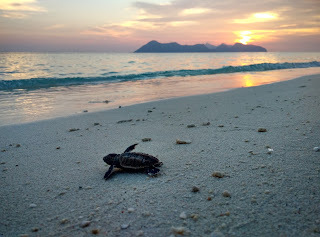 In reality, turtle walk meant patrolling the island to spot turtle nests. Sometimes I get the late shift (we rotate) but it's really worth the effort if you actually find a nest! 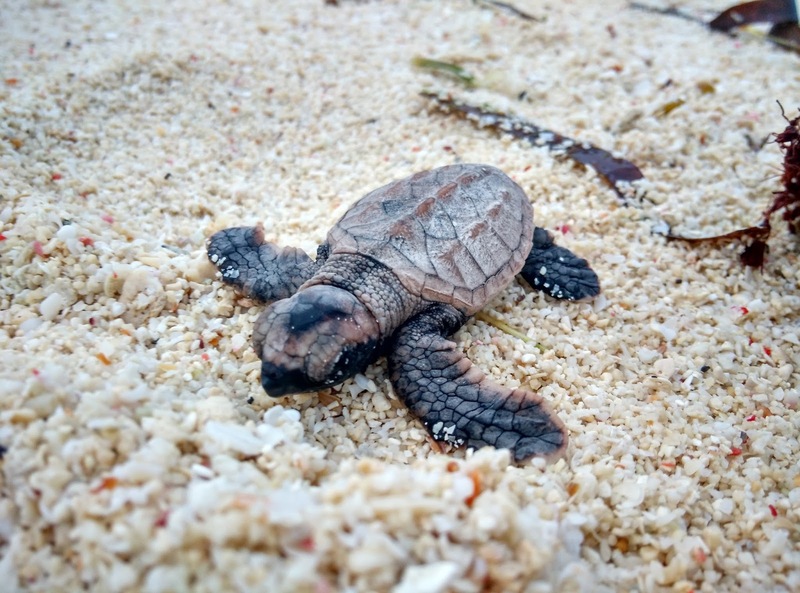 Even better if you have the chance to witness a turtle hatch - when all the hatched turtles are released into the ocean. Funny, but doing turtle walk helped me realize how fragile but beautiful life is. After conducting countless turtle walks during my internship, I've come to realize that I can actually spot turtles miles away (I wish I'm kidding). Even while I'm diving in the deep blue ocean, I can still spot turtles far away! I wished more people had awareness about turtles. I still can't forget the time I saw my first dead turtle washed on the shore because of choking on plastic. In case you're wondering how we do our turtle walks, well we take shifts during the week to walk around the island. Fear not, we usually do it in pairs to avoid loneliness! At TRACC, you can get hands on experience doing conservation work. Where else can you actually be within metres of a turtle laying eggs? It's honestly an experience you can't replicate (also makes a really cool story). We are also provided enough briefing and training to understand the process. Turtle walks have definitely changed me to be more aware of my actions and how it impacts the environment. I would definitely recommend turtle walk experience at TRACC to all my friends. For a cheap cost I not only get to save turtles but also dive multiple times a day. Food is actually good too! I can't wait to come back next year.